World TeamTennis has expanded to Las Vegas bringing Professional Tennis to the public. 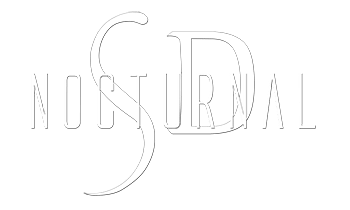 We have your Vegas Rollers Tennis Tickets Discount Promo Code “NOCTURNALSD” for 10% off your General Admission tickets any day of the week. If you have never seen a Professional Tennis match in person, it is definitely something you do not want to miss. 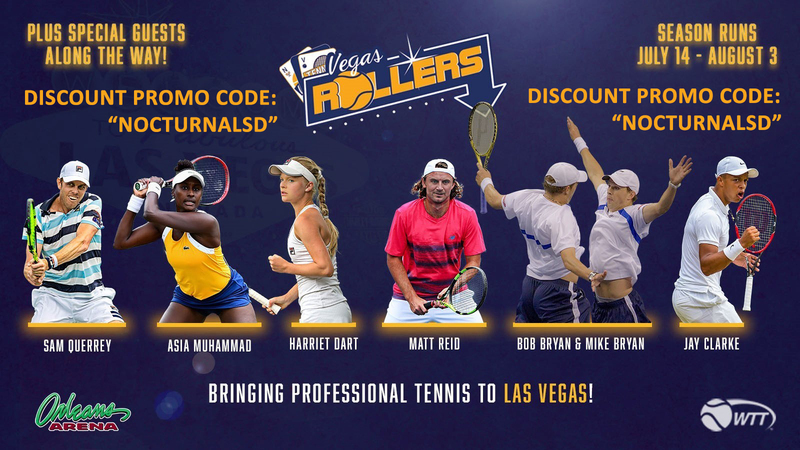 Get 10% off all Vegas Rollers Tennis Discount Passes using Discount Promo Code “NOCTURNALSD” for all Las Vegas Professional Tennis Matches this Summer. Vegas Roller Tennis Team is playing soon at the Orleans Arena Get your tickets before they sell out. Vegas Tennis Team 2019 is the Vegas Rollers with the WTT Championships happening at the Orleans Arena on August 3rd. 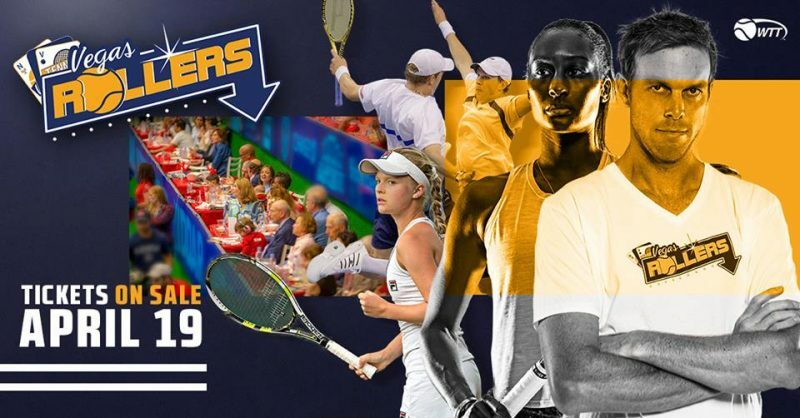 Some of the games you can see below will be played by many tennis professionals you won’t want to miss like: Sam Querrey, Asia Muhammad, Harriet Dart, Matt Reid, Bob Bryan & Mike Bryan, and Jay Clarke. Vegas Tennis Tournament happening from July 14th to August 3rd at the Orleans Arena. Each week different pro tennis stars to watch for. Click below links for tennis game tickets. Vegas Tennis Tickets are available for purchase: seasonal tickets or tennis tournament tickets below at the Orleans Arena in Vegas. Orleans Arena Events happening from July 14-August 3rd. Pro tennis tournaments.